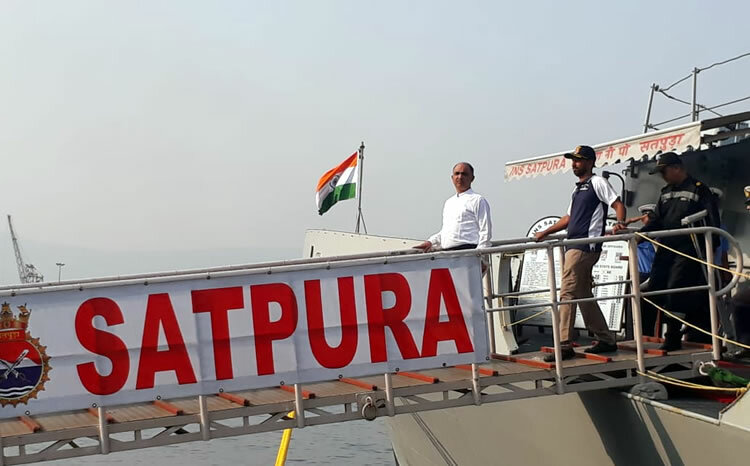 Commander Abhilash Tomy who was under medical observation at Ile Amsterdam was brought to Visakhapatnam safely onboard INS Satpura on October 6, 2018. 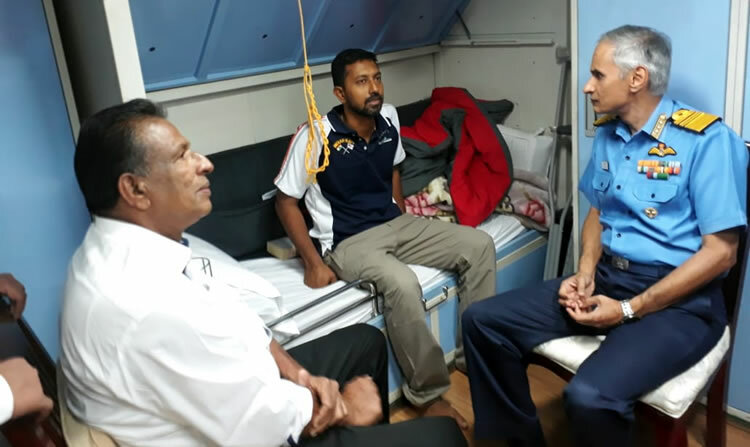 Vice Adm Karambir Singh FOC-in-C ENC briefly interacted with Cdr Tomy and enquired about his health condition and the rescue operation. 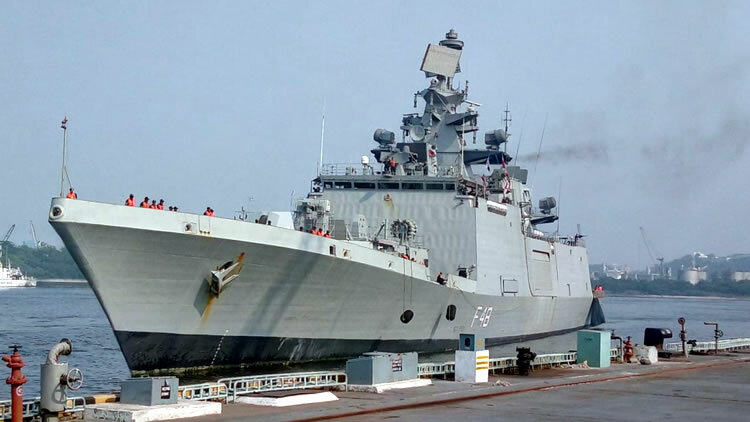 Cdr Tomy has now been shifted to INHS Kalyani, the naval hospital of ENC for observation and medical assistance as required. 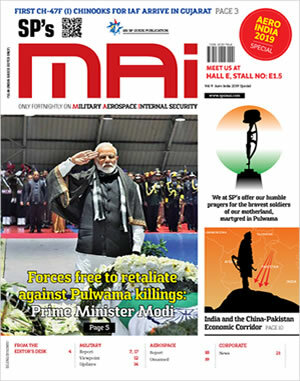 The Commander-in-Chief also interacted with Capt Alok Ananda, the Commanding Officer of INS Satpura who lost his father while the ship was on operational deployment and diverted for the Search and Rescue operation.